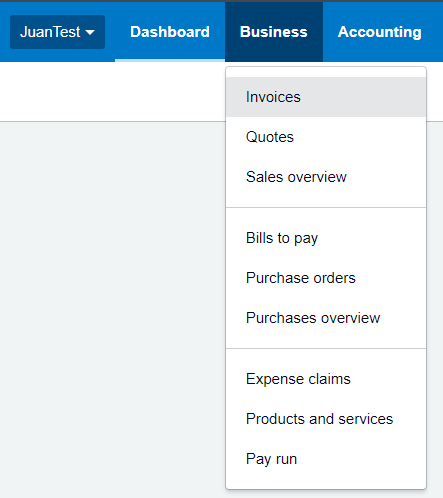 A guide in syncing partial payments from Xero into JuanTax. The first thing that you need to do is to go to your Xero account and create an invoice. Go to Business > Invoices. Then, just like the process in creating an invoice in Xero, you need to click the New Invoice button the choose New Invoice from the drop-down menu. Insert the name of the recipient, as well as the dates needed and invoice number. You also need to enter the description, quantity and price of the product/service. Choose the Account that you need and then for the tax rate, make sure that it falls under any rates within VAT on Sales as well as Purchases which involves Services. In this example, I used VAT on Sales (Services) (12%). After creating your invoice, approve it by simply clicking the Approve button. Once you approve the invoice, you’ll need to pay the transaction in order for the invoice to appear in your report. In this example, I only paid up 15,000 PHP (as partial). I also used March as the month which we’ll be using later in our report. After selecting your source of payment and reference, click the Add payment button. A message will show up, indicating that you had paid the invoice in Xero. Now, it’s time for you to sync this invoice in your report in JuanTax. 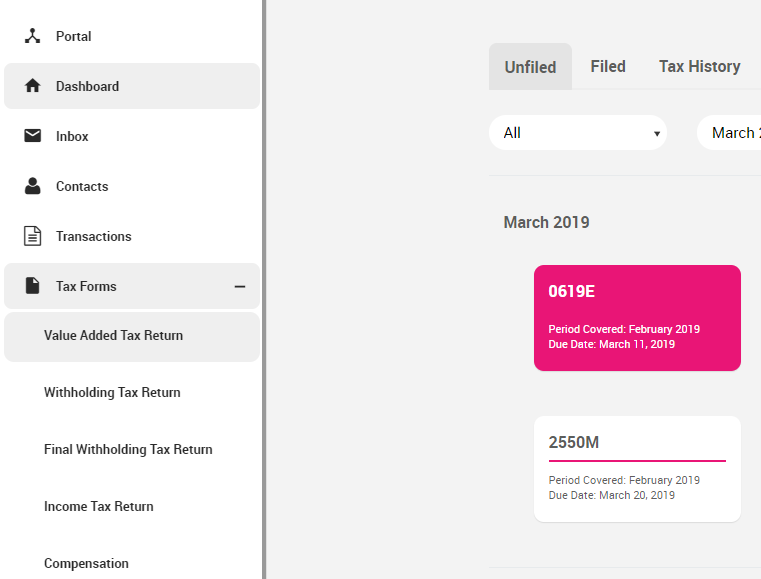 Once you’ve entered JuanTax, you need to create a tax report by going through your dashboard. For this one, we’re using VAT as our tax report. Since our invoice was dated in March, we’ll be generating a quarterly VAT report. 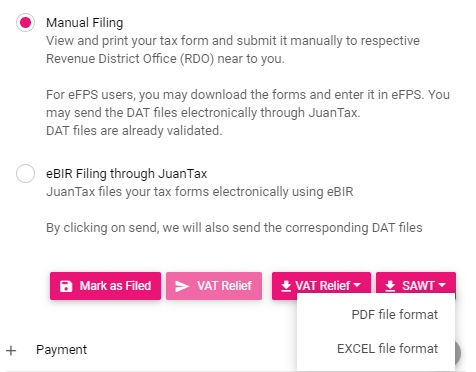 To learn more on how to manage VAT reports in JuanTax, visit this link. Once you click the report, you’ll be prompted to the Sources section, where you need to go to the Partial Payments tab. Look for the transaction that you entered earlier in Xero then click the Edit button. It will prompt you to a modal where you could manage the pending amount that you still need to pay. In our sales transaction example earlier, we made a 15,000 PHP partial payment for the 26,000 PHP worth of services. 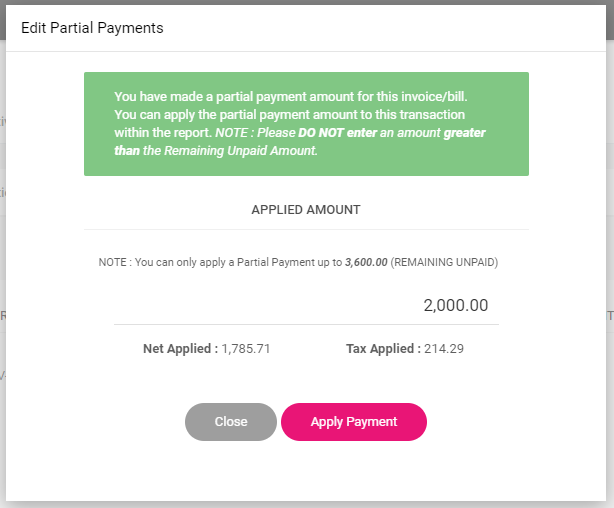 In JuanTax, the user has the power to decide how much from that partial payment will be reflected in the generated report. So let’s just say that I wanted 3,000 PHP from that 15,000 PHP partial payment to reflect in my March VAT report. Note: Please remember that remaining amounts from the partial payment that you entered in JuanTax during the current month would not reflect the next month. 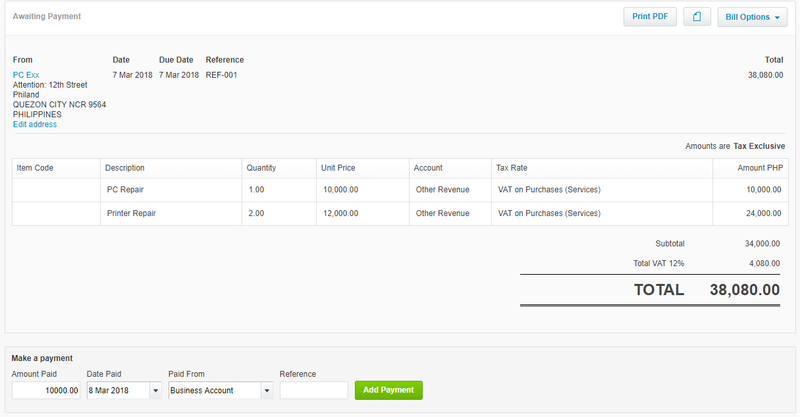 Once you click the Apply Payment button, this amount will show up in the Summary of your VAT report. 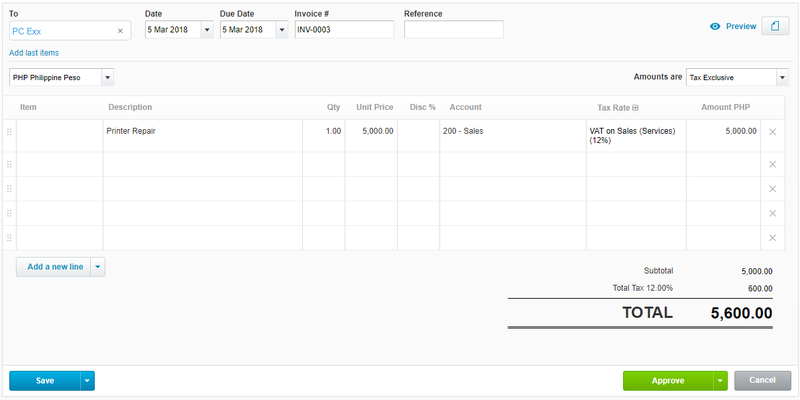 For our purchases example, I made a bill with 3 transaction lines, each with a designated description and amount. I used VAT on Purchases (Services) (12%) as tax rate within these transactions, then I paid half the amounts for each line. Once synced with JuanTax, all of them would appear in the Summary section of the report. You have the option to choose the amounts that you want to appear within the report. During filing, you can still obtain and download DAT, PDF and Excel formats of your report which includes the partial payment transactions that you created in Xero.